The Aurora Popcorn Shop is a “popular” place for parties and promotions. Looking for a unique treat for your upcoming wedding, party or special event? Let us “pop” in to help. 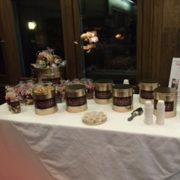 We can set up a popcorn tasting bar featuring a selection of our gourmet popcorn. Or, we can assist you in creating your own popcorn tasting area. We can create the perfect party favor for your next event. We have the ability to color coordinate not just the bows but even the popcorn. We can imprint our bags with a special message or assist with a custom label. Want a new way to get the attention of new customers or thank your current ones? Popcorn is a crowd pleaser. 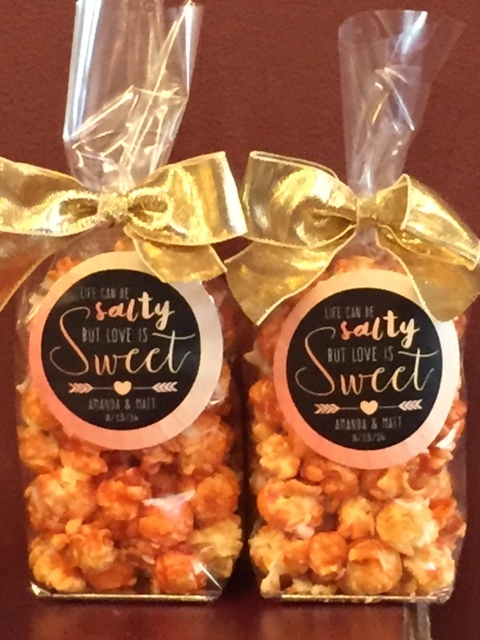 From promotional giveaways to corporate gifts, The Aurora Popcorn Shop can create a promotional popcorn item to meet your needs. For more information, call Lynn, your popcorn specialist, at 716.913.6834.